There are 8903 posts in this topic. You are on page 50 of 179. I hope Houdini makes it to the Golden State PF at Lodi!! We had a chance to play 2 balls on Houdini at PAGG last year!! Maybe that was the pin that broke the flipper rubber! No complete code at that time,ergo only 2 ball play! !Was fun then!! mine does this as well.........if coil left at original setting. 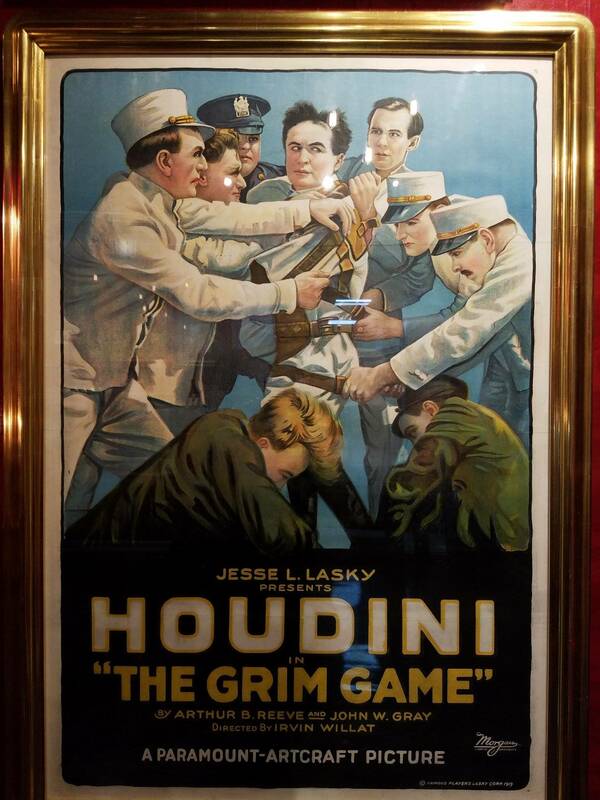 I love Houdini. I ordered one and I am getting VERY close to payment time and the commitment that comes with it. 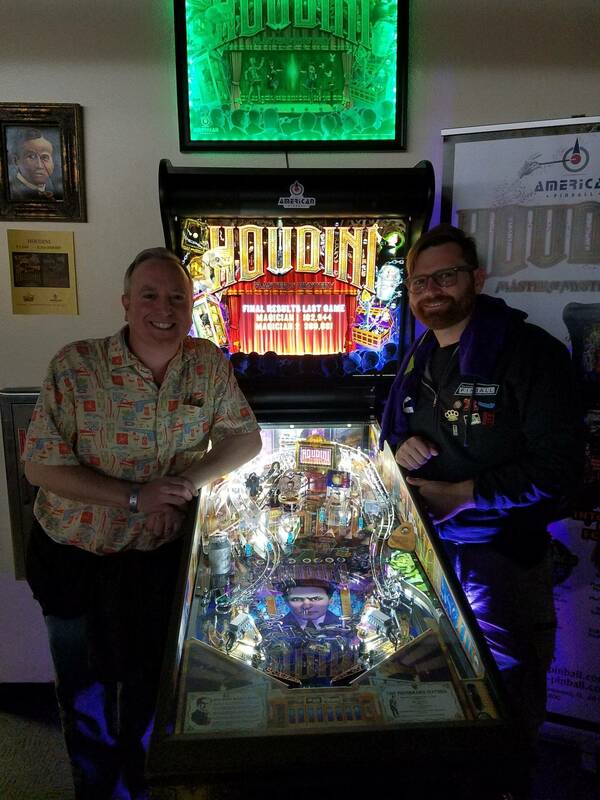 I have played 7 or so machines in the wild, from GAP in Chicago to Padavans in STL, Texas Pinball Festival etc. I am noticing some inconsistency with the right scoop, specifically, where it kicks the ball out to. Mike's machine up at GAP was kicking the ball dead nuts SDTM. At the time, he assured me it was a issue with a coding update that reverted to an old set. I have talked to him since and he confirmed that was the case. All the machines I have played since have kickers that send the ball to the top of the slingshot. I noticed it on every single Houdini kickout tonight at TPF. I don't know if this is a consequence of the quick development timeline, misadjusted solenoid power, or a misadjusted kickout etc. For those of you that have one, are you noticing this? I'm having the exact same issues. This response from AP regarding SDTM : Try adjusting coil strength first. Lower it. If that doesn’t work then try this. I don't think it's a physical issue. The actual POWER of the scoop eject seems to vary during the game, even though you don't change the settings. This is most obvious when you make it lower power so the ball rolls out and right to the right flipper. 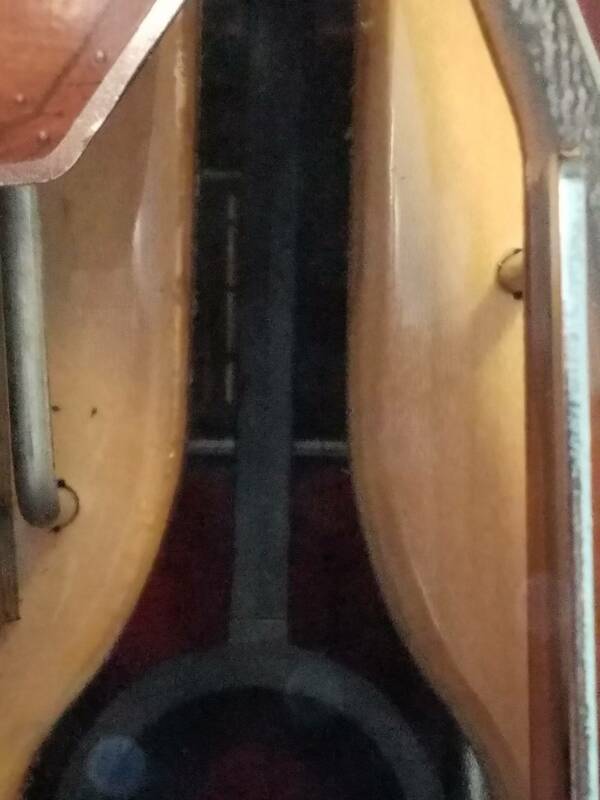 If you set it there (where it seems it should be), sometimes for no obvious reason, it can't even get the ball up out of the scoop and back up to the playfield. Definitely an issue that make the "best" low-power option not an option for now. I think they'll get it worked out eventually in software. You mean the left lock? We had problems with that, but after adjusting the switches (check for registration with a ball, and move it side to side - there's some slop for the ball, and the switch can not register if the ball leans when the roller for the switch isn't low enough to activate regardless of where the ball rests) we have no problems with that left 3 ball lock now. Subway is still occasionally weird. Not sure if it's software losing the ball, or if there's some obstruction, but I intend to get a live camera down there to watch what's happening while playing. Ball search fixes it when it happens, but it's annoying to have to wait for ball search in the middle of a game. I had this issue ... The 2nd micro switch needed adjusting, showed that it was fine in test , however when the ball was parked the blade was not making full contact! Thanks Paul. Ill have to you tube that later. 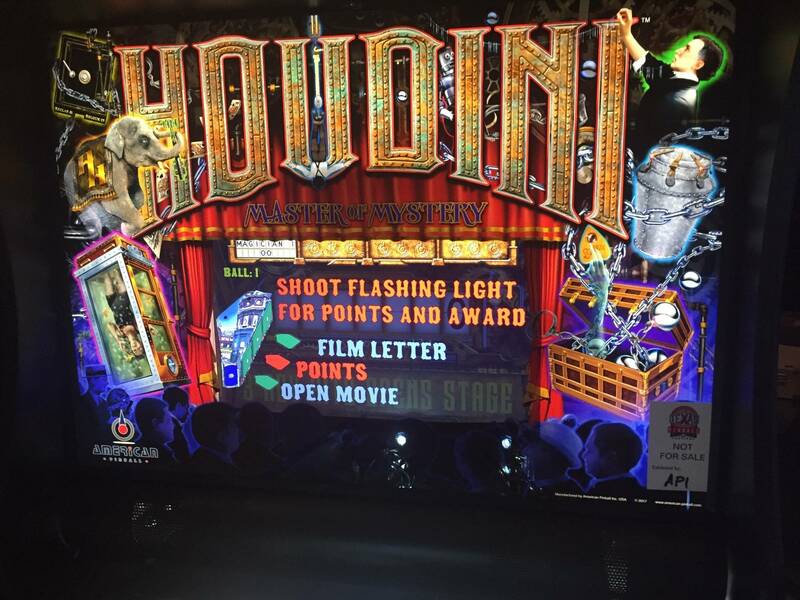 Arcade Expo Houdini non stop playing since we opened yesterday. I cant even get a game in on my own machine. Always a line! Who is Paul? I am Brian. You're welcome. Two switches I wish they would address. Entry to left loop and the trail next to the ramp, no sounds trigger and a small tweak. What sound settings are you guys using? Mine gets louder but doesn't sound like I remember at SFGE last year. Love the animations that take a jab at the other manufacturers makes me laugh. Hey guys, just got home from TPF, was a great show and it was great meeting so many of you. I'm pretty wiped out after only getting about three hours sleep last night, so I think I'll sleep for a week. I see there were a few posts since I've last checked in, and I'll go through them tomorrow and respond as needed. 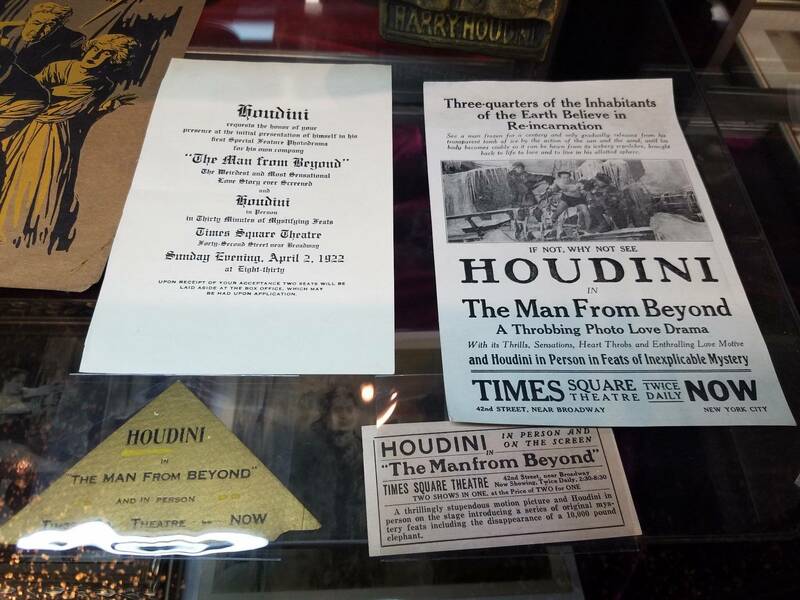 We had four Houdini's at the show, did not see final audits, but guessing around 2500 plays across the machines. There was never a single moment from open to close that the machines were not being played. Even during the VIP time from midnight to 2AM there was a line. There were also games in some of our distributors booths that were also played non stop. We only took the glass off once, that was at 2AM this morning, right when were getting ready to shut down, the shooter lane switch on one game got bent and had to be adjusted. In our booth we did have one game running test code with a few new features. I'll share more on what I was testing after I recover, but here is a sneak peek to whet your appetite for those who were not there, or just did not see it. 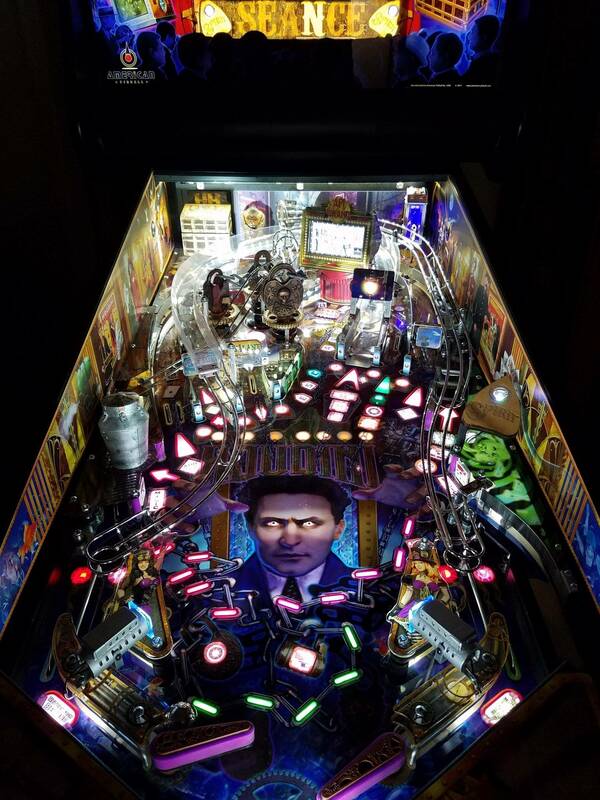 Anybody know what mode makes the seance multiball go dark? I'm trying to figure out whether I have a bug or a feature. I assume everyone has the "Trunk Multiball Locked" callout? What do you mean "go dark"? That must be it. Thanks. Have a Great Show! There will be a line the whole weekend. Michael Gottlieb stopped by and waited in line 30 min to play, average wait at 3 day Banning show was about 20 min. On his first and only game he got 336,480! 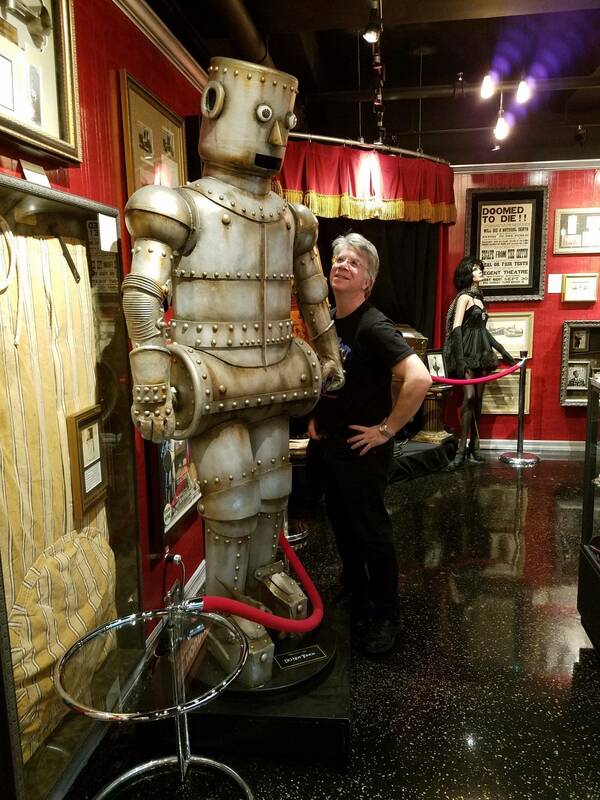 He loved the game, looks, theme, cabinet, georgous playfield. He loved the shots. He was happy to hear Joe Balcer was working for AP, and Josh and his amazing programming. 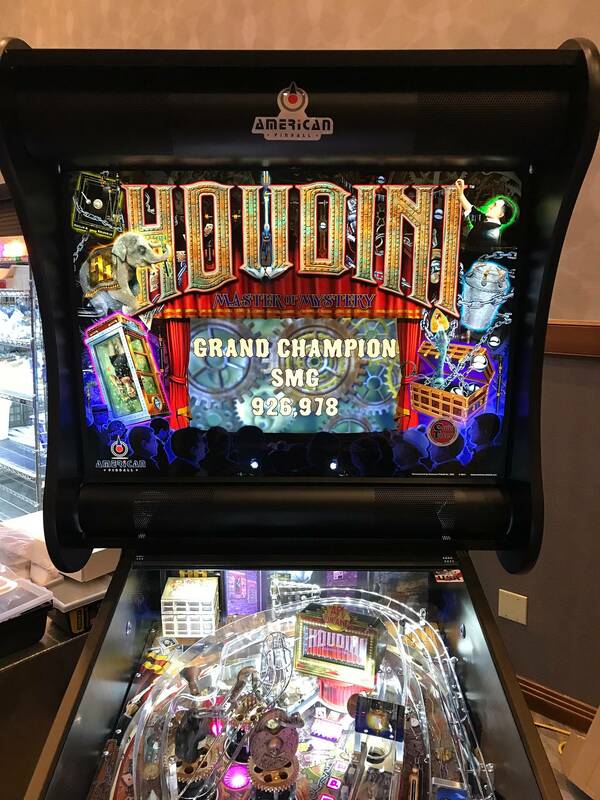 Arcade Expo Houdini non stop playing since we opened yesterday. That would be correct. There are three 'stages' to this mode. 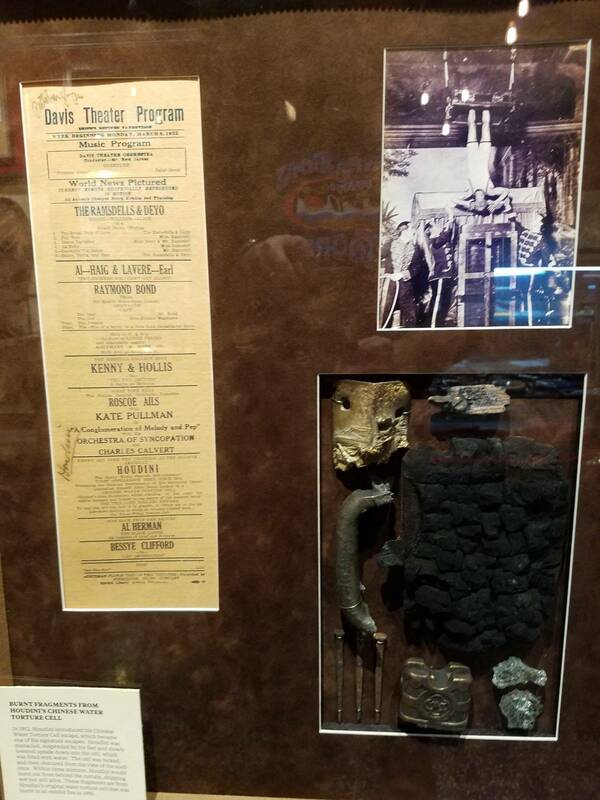 first you need to free Houdini form the Ice he has been frozen in for 100 years, you do this by hitting the stage. Once a freed, a second ball is put into play and you how need to free him from the insane asylums (where he ends ups when he keeps thing someone other woman is his wife, and he does not understand it is 100 years later). Shooting orbits will then free him from the asylum, and put another ball into play (assuming you did not already drain one which will end the mode). Then the lights all go out, as the search for the escaped Houdini commences. Three shots are lit for the jackpots (orbits and stage), but only one will actually pay off. 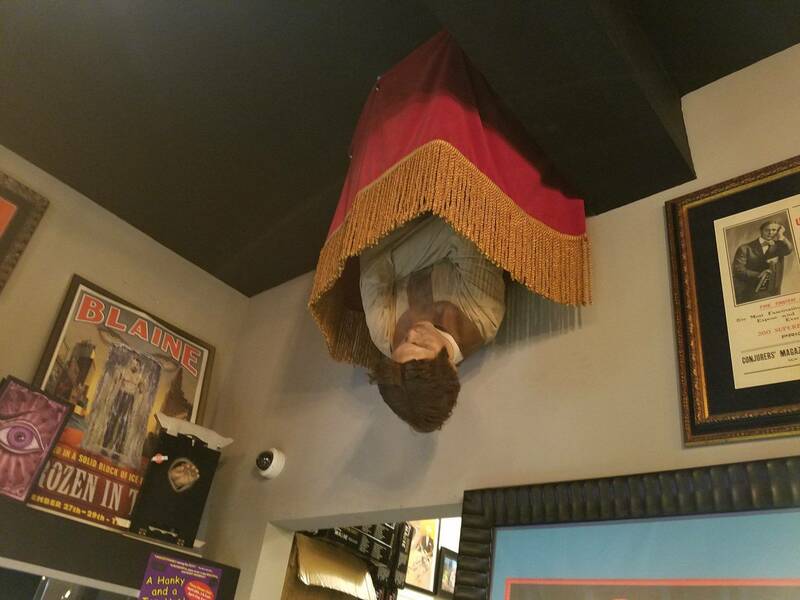 You can tell which my sneaking a peak at he display to see where Houdini is standing, although hard to see him unless the moving search light is on him. The Playfield then also as a searchlight pattern. The way the spotlight behave during the third phase is changing in the next code update. 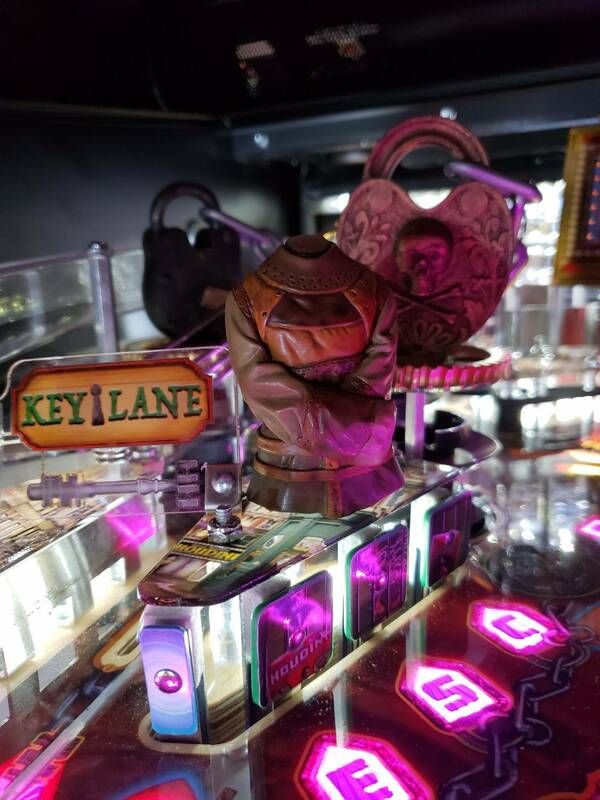 Assuming you talking about the the lower left loop (milkcan) it does have a sound as it is the first part of the attempt to advance the multiball. The right inner loop does not currently have one, it is certainly possible I will add one at some point. American Pinball seminar at TPF starting shortly. Yeah, probably the worse presentation I have ever given. Between being exhausted and distracted by knowing the Michigan basketball game was starting, I was clearly off my game. I apologize to those who sat through it. I wonder what rubber they're using. I believe they are the perfectplay rubbers that PinballLife Sells. We had a chance to play 2 balls on Houdini at PAGG last year!! Maybe that was the pin that broke the flipper rubber! No complete code at that time,ergo only 2 ball play! !Was fun then!! AT a many shows last year we used 2 ball play to keep lines moving, and so everyone would get a chance to play. I believe Spooky was doing that this ear at TPF with Alice Cooper for the same reason. Joe wanted one ball play, but I argued that you can't have someone way 30 minutes a line, for one ball that could end up as a house ball. 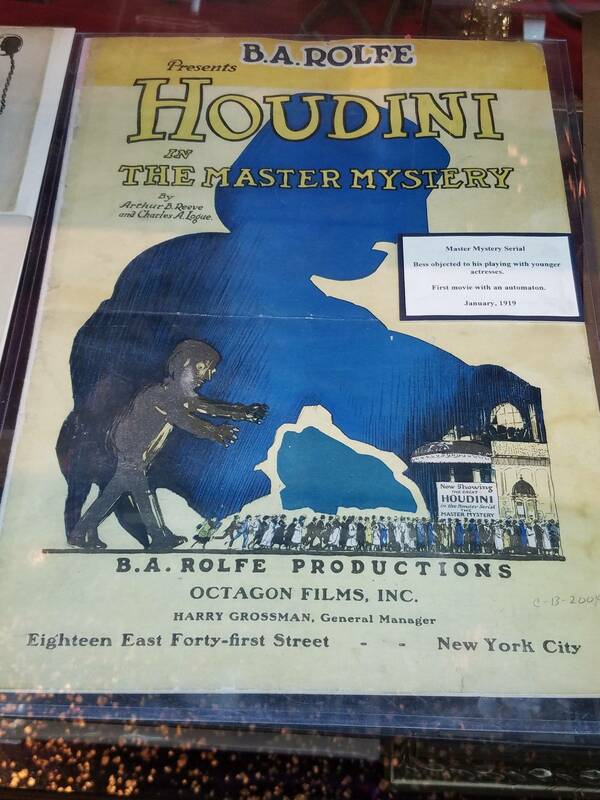 Not being at TPF ... What was the overall reception about Houdini? Seems like it got some great attention over the weekend ! There's some weird inconsistency with that scoop. Hitting the sling top corner is because the power for the coil is too high. 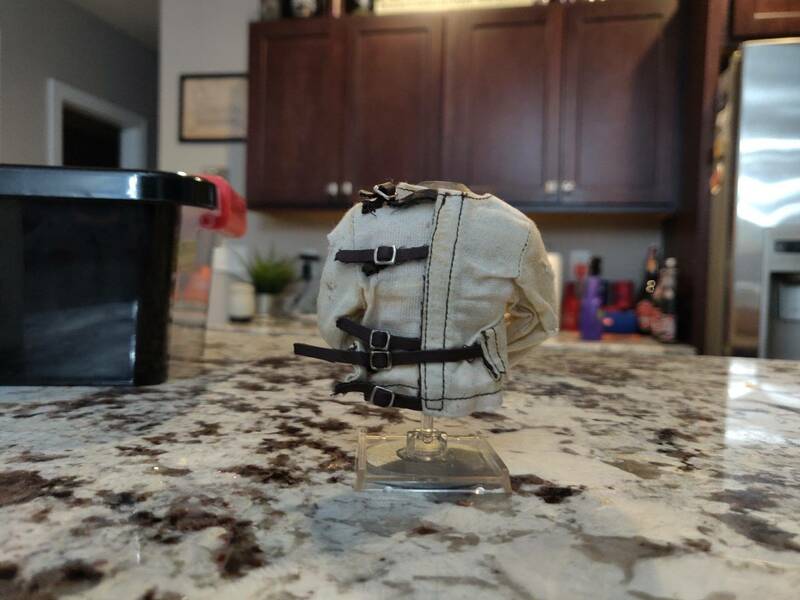 But if you set it low enough so the ball barely kicks out and rolls in front of the right sling like it's SUPPOSED to, sometimes for no apparent reason it can't kick a ball up and out of the scoop. Without changing the power, I've noticed sometimes the ball is slow and other times it FLIES out of the scoop. Thanks for the response. I'd love to hear Josh's thoughts on this at some point if possible. He is the last word. Okay so here is the scoop. Ideally you want the power just strong enough to get it out and have it go past the sling right to the flipper. If you make it too weak, and it falls back, the scoop will fire it out stronger. The strength increases if it believes there is continue to be fallbacks, since there is the issue of a double or even triple stack in the scoop. So a rapid shots back into the scoop can result in a harder kickback. if you are finding it is hitting the top of the sling, you want to try to adjust, every so slightly the end of the flat rail. You can use a screw driver between the rail and the post to angle it out slightly. Sometimes the top of the scoop also needs to be either opened up or closed slightly to improve the flow. Best way to tweak this is to go into the API cockpit and go to Settings->coils. Then pull out the interlock switch in the coin door to enable high power. You can then just drop the ball into he scoop and have it fire out. Manually hold the right flipper in the up position to be sure it is hitting the right spot. 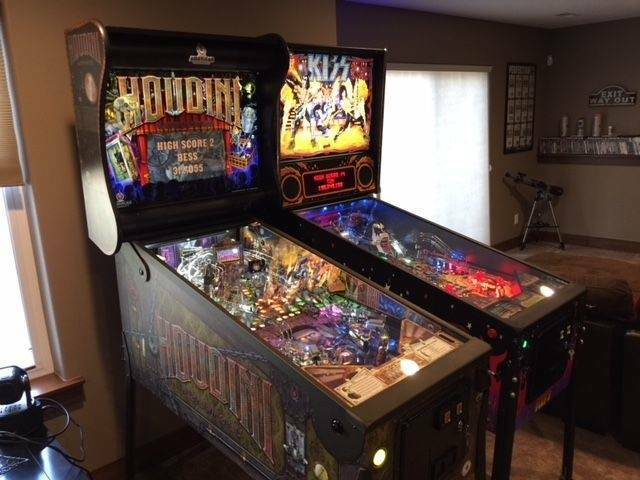 Then adjust power up or down or that angle as needed, rinse and repeat until it is consistent, obviously ithere will always be some amount of inconsistency, it is pinball after all. It is also possible that some of the earlier machines that shipped were not properly tweaked on the ball coming out of the left side orbit. The same concept applies, if you hold up the left flipper when you find a ball around the orbit (with some reasonable about of power), it should go nicely past the sling to the flipper. If it is hitting to ar how to the end of the flipper, then you can adjust the exit of the orbit slightly. In some cases you may need to remove the plastics if you need to move out the flat rail further up from the end. If you need assistance with this contact our support phone number and Barry can help guide you through it. We are now giving the left orbit exist more attention in the final inspection process. Does it remember the harder power for the next time? It's just weird because without ball jam/stacks or successive fast scoop shots the power is changing for the kickout just on single ball kickouts. You can't count on how it's going to come out and where it will go. 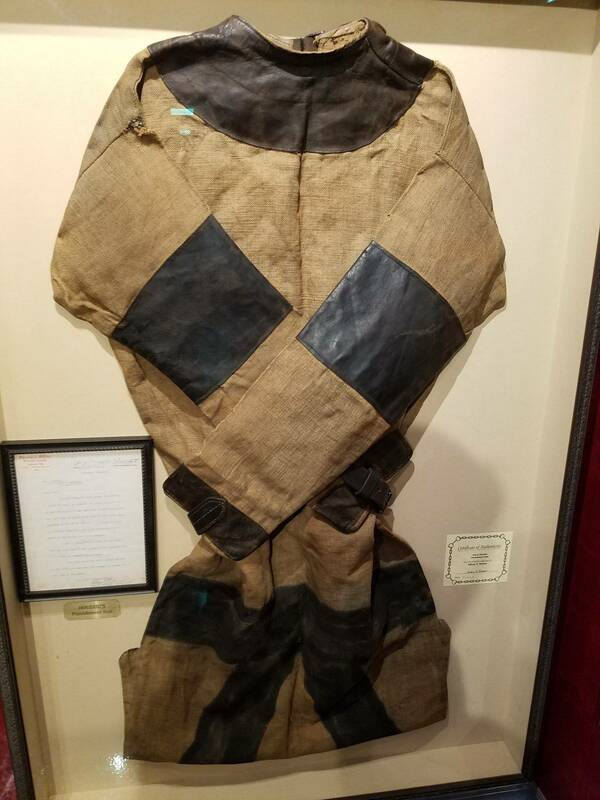 If it's a really hard one, it tries to fly straight down the middle, or it can hit the top of the sling, or it can come out at the "set" power and roll past the sling right to the flipper each time. The inconsistency is the frustrating part. I think I have now responded to the various questions that have come up over the last few days, if I missed any let me know. From where I was standing (and boy was there a lot of standing), the overall reception was great. We had a line the entire time (both with our 4 and the 2 in other booths). I had people stopping me wherever I went during the show to dell me how much the enjoyed the game, loved the look, etc. Of course for those did not like it, I'm sure they would not stop to tell me that. We only took the glass off one machine (other then to clean things each morning), and that was at 2AM Sunday morning, when the shooter lane switch got slightly out of whack. Avg games times were around 3:40, average score was around 90K and there were way fewer games over 500K then I expected, I think there were only a dozen across what must have been over 2500 plays (not sure of the stats for games in the booths of distributors). The catapults on three of the machines were 93% to 98%, the fourth machine was 99% on day one, but dropped a lot on day 2, clearly we did not notice or would have adjusted the power, which we did on Sunday and its accuracy went back up. From where I was standing (and boy was there a lot of standing), the overall reception was great. We had a line the entire time (both with our 4 and the 2 in other booths). I had people stopping me wherever I went during the show to dell me how much the enjoyed the game, loved the look, etc. It's a great game, and really an astonishing effort for a year of work to be shipping this cool of a game with code more complete than any of the recent Sterns shipped with. 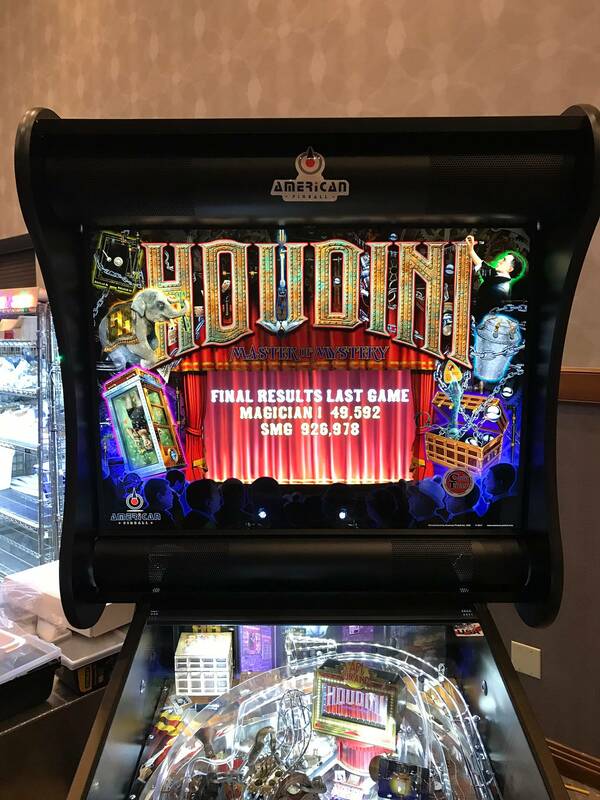 Congrats Rosh and American Pinball, Houdini had a constant line at the Arcade Expo. I got a game in and was immediately hooked! 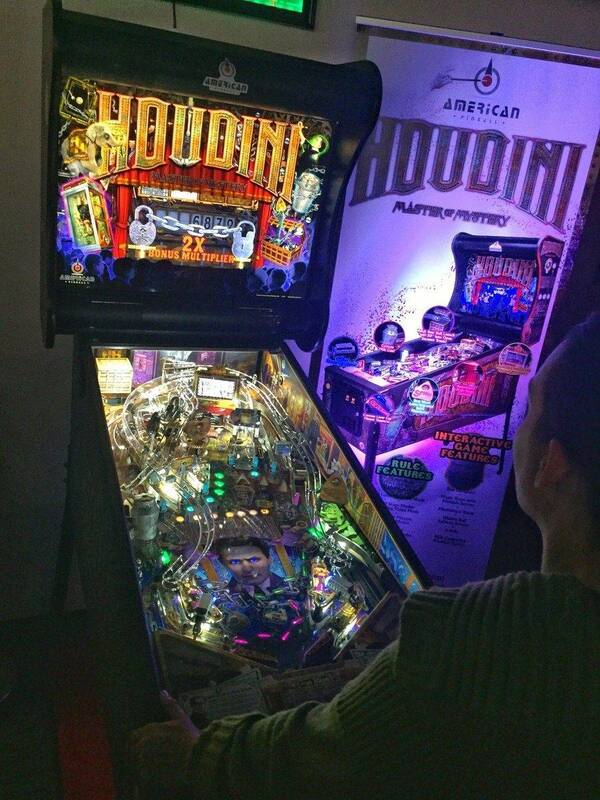 Nicely balanced playfield, the LCD blends in with the backglass and the whole game just stands out. I definitely need more playtime to adjust to the angles of the lanes. You gotta start promoting this pin on Twitter now. I must have watched a different seminar. I thought you as well as your team showed true excitement and commitment to a wonderfully executed game without making any over the top promises other than to make the best game possible. My guess is with the tireless hours your team has put in this must have seemed like a vacation compared to recent times. Looking forward to the game(s) and certain to see many amazing future titles from API. Actually, I thought you had a really good presentation, as did the rest of the crew. I was at home watching it on the twitch feed. I was surprised no one asked if game #2 will be announced before the end of the year. I am excited to hear about it. For now, go Team Houdini !! It is getting a lot of buzz here in Houston. Coils are DEFINITELY adjustable. Sounds like a poorly configured setup. 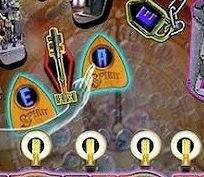 What's the deal with the spirit hand flipping off the player on the playfield? Inside joke? 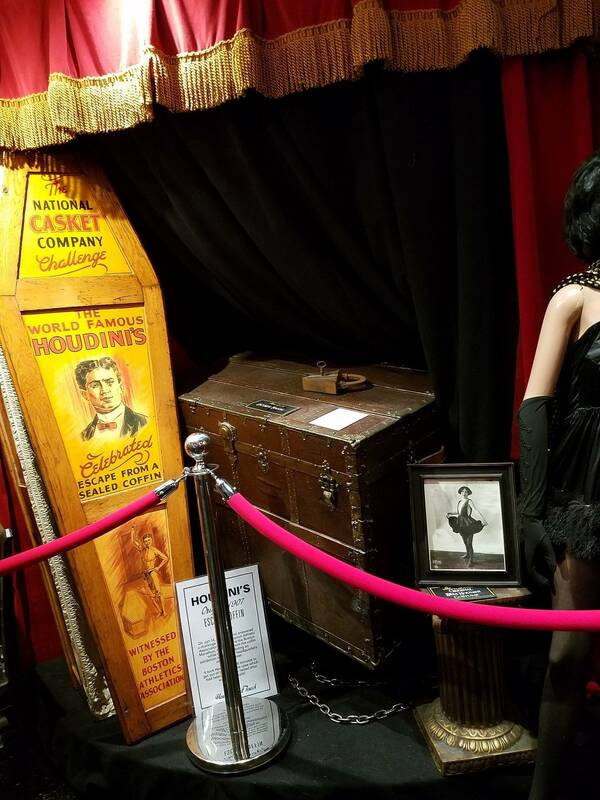 Houdini #1098 is in the house! The game is beautiful. Spent the morning getting the game set up. I'm about 10 games in and it's playing great. I had one ball get stuck on the milk can loop lock... that white spike was releasing too fast and not giving the ball time enough to fall. I hit the milkcan loop shot a ton of times already... amazed at how easy it is to hit in the flow off the left flipper. Beginner's luck? * Generally, you guys need a "quickstart guide." I didn't find the owner's manual until after I got the legs on and the plastic wrap removed and the instructions were not that helpful. * The lock down bar is confusing. Called customer support and the guy was very nice. You have to press down on the lock down bar to latch. You need to put those directions in the quickstart guide. When you just spent $7,000 on a machine, you hate to force and break things. * I didn't understand how to toggle the settings - like set to freeplay. I guess you have to hold two buttons down to toggle the setting??? Very confusing. I managed but it was not intuitive. Congrats on bringing a great, first game to the market. 1104 here. My left side orbit exit goes SDTM if it has any speed at all. Is it supposed to go to the left flipper? Can you describe the adjustment procedure a bit more, or does this warrant a call? Agree on observations on the leg bolts, it seems the hex wrench just barely seats in the top of the bolts, I was expecting it to seat much further down. I had quite inconsistent results with the trunk catapult when running multiple games from the same outlet. I did the initial calibration, but it was entirely inconsistent until I turned other games off. I would expect this will be an issue on location. Thanks for all the hard work getting these out. 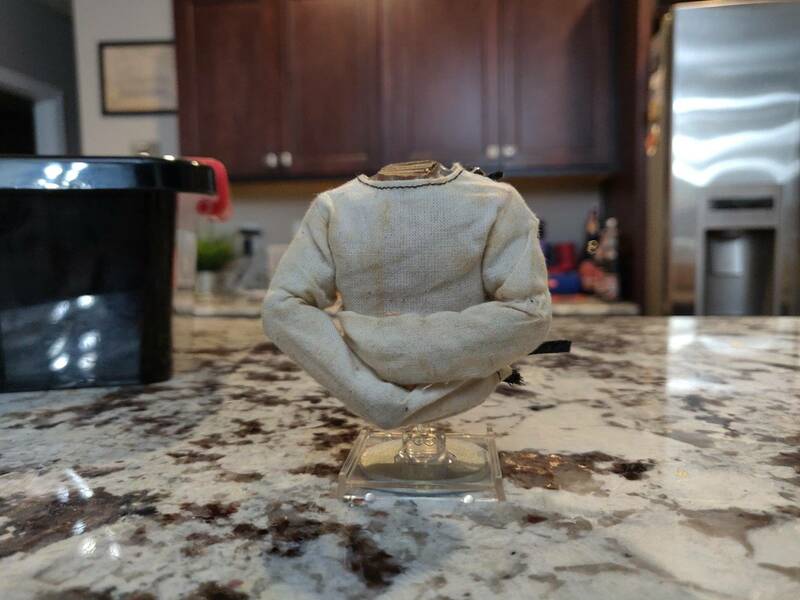 We had a bad batch that were slightly off in size, they worked fine for the head, but did not fit cleanly into the bolts. Games shipping from this point forward will have the new wrench. My left side orbit exit goes SDTM if it has any speed at all. Is it supposed to go to the left flipper? Yes, it should go to the left flipper regardless of speed. Probably best to call in and talk with Barry so he can explain the process to adjust vs me trying to do it here. I didn't understand how to toggle the settings - like set to freeplay. I guess you have to hold two buttons down to toggle the setting??? Very confusing. I managed but it was not intuitive. hmm, changing settings is really no different then on any other game. Typically you hit 'enter' in the desired item, and then you use the middle two buttons to move back and forth through options and then enter again to save the change (or 'exit' to cancel the change). Generally, you guys need a "quickstart guide." Hmm, thought there was a set up guide right on top when you open the box as far as how to set it up. I'll share this with production to see what is going on with that. The reason you need to push down on the lockdown bar, is it is adjusted for a tight fit, so you don't get side to side movement. That little bit of pressure gets it deep enough for the lock to engage. I find that I pull the lever to the left, then put the lock down bar in, then when you push the lever will pull back to the right on its own locking it in. Milkcan loop, I think you are talking lock shot (the 'tight' shot to right of the ramp that feeds the catapult). The milkcan loop is the shot from the right flipper to the loop way down on the left that goes under the milkcan and down to the left inlane (you then want to shoot the ramp to advance the multiplier). Was any licensing required, or is HH now considered to be in the public domain ? Very likely so, as I think *individual* celebs like Marilyn Monroe (as opposed to film properties, say) were among the first to be commercialized successfully after their lifetimes. Just back from Arcade Expo 4.0 @ Banning, where I had a chance to play this. Only for 1 3-player / 3-ball game though, due to the lines waiting. Not sufficient to form an opinion on it, but at first exposure it does look impressive. (I have not had the opportunity to read this thread yet . . . ) One observation though: where it pauses to give you b.g. info on Houdini's career etc., this would absolutely slow things down to an intolerable crawl in tournament play -- *unless* there happens to be some menu settings that can suppress this feature. There are menu settings to turn off exposition and hand-holding, but I haven't played with them yet to see if you can turn all this off. As it is now, it's nice while learning the game. Boy oh boy you have a lot to read... Think you will find all your answers here... I've had mine since the beginning of January and you can bypass a lot of the info given by hitting the flippers. I think Paul is one of the Llamas with Hats.